I have traveled a lot around the world, and most recently moved with my husband to Rio de Janeiro, Brazil. I thought I'd share a few things I have learned from all the packing, airports, customs, and eating I have done around the world. I hope this is beneficial for at least one person reading! Flying dehydrates you! There are several reasons why I get dehydrated while traveling. You can't bring water past security and bottled waters are expensive in airports! I often don't drink anything until I'm on the plane and the flight attendants bring around the beverage cart. And then it's just a tiny cup of water. Drink lots of water before you leave! Buy a water bottle at the airport and ask the flight attendant to refill your water bottle when you get on the plane. Flying also dehydrates my skin. I already have dry skin, so flying just makes it worse! If you also have this problem, I suggest using a hydrating face mask the night before you leave. 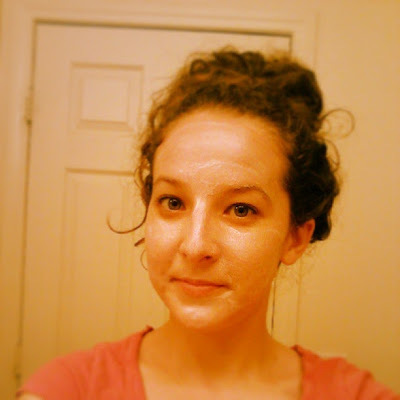 I used a Mary Kay moisturizing mask and my skin felt amazing! A couple of days before we left I went to Whole Foods and stocked up on healthy snacks. Airport food is expensive, flights are long, some airlines don't serve meals and, if they do, they might be nasty, gross, or unhealthy. CALM is a natural supplement that does just want is says: calms. This is great for people who suffer from bowel issues (any kind) that are aggravated by travel or other stressful situations, including packing, mentally preparing for a major life change, or anything else that may cause stress. I have a canister of it at home, but I picked up a couple of individual packages to more easily pack it in my carry-on. Thanks for reading! Do you have any other tips you'd like to add? Leave a comment below. 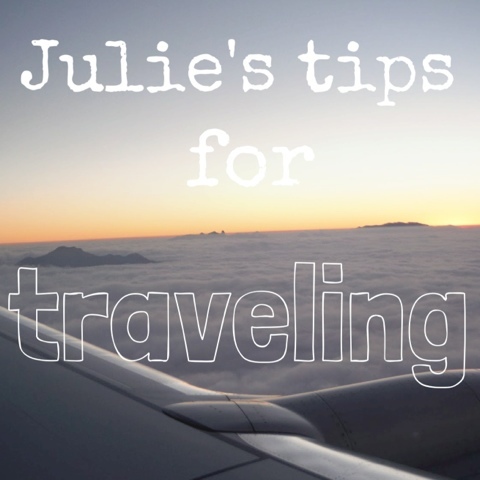 Julie's Tips for Traveling Overseas - Part 2 - to come soon! * I am not receiving compensation from Ruth Smith or Mary Kay. I mentioned the product because I want to bring awareness to my mom's business, and not for any other purpose or personal gain. Note: This post contains affiliate links. Read my disclaimer here.